One of the roles of nurses is to help patients learn to care for themselves and make healthy choices. By participating in their own self-care, patients can prevent illnesses and diseases and help ensure they have better overall health. One nursing theory that helps patients prevent illnesses through their behavior and choices is the Health Promotion Model, which was developed by nursing theorist Nola Pender. Pender attended Michigan State University to earn her bachelor and master's degrees in 1964 and 1965, respectively. She earned her Ph.D. from Northwestern University in 1969. 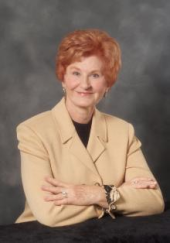 She received a Lifetime Achievement Award from the Midwest Nursing Research Society in 2005. She was awarded an honorary doctorate of science degree in 1992 from Widener University. She was given a Distinguished Alumni Award from the Michigan State University School of Nursing in 1972. She has many publications in a variety of texts and journals, including six editions of Health Promotion in Nursing Practice (6th Edition) . Pender has served as a member of a number of organizations. She is also a co-founder of the Midwest Nursing Research Society, and currently serves as a trustee. She is currently a professor emerita in the Division of Health Promotion and Risk Reduction at the University of Michigan School of Nursing, and serves as a Distinguished Professor at Loyola University Chicago's School of Nursing. She is currently retired, and spends her time consulting on health promotion research nationally and internationally. Nola Pender developed her Health Promotion model, often abbreviated HPM, after seeing professionals intervening only after patients developed acute or chronic health problems. She became convinced that patients' quality of life could be improved by the prevention of problems before this occurred, and health care dollars could be saved by the promotion of healthy lifestyles. After researching current models and discovering that most focused on negative motivation, she developed a model that focused on positive motivation. The first version of the model appeared in literature in 1982. It was revised in 1996 based on changing theoretical perspectives and empirical findings. The purpose of the model is to assist nurses in understanding the major determinants of health behaviors as a basis for behavioral counseling to promote healthy lifestyles. Pender's theory encourages scholars to look at variables that have been shown to impact health behavior. It uses research findings from nursing, psychology, and public health into a model of health behavior. The model can be used as a foundation to structure nursing protocols and interventions. In practices, nurses should focus on understanding and addressing the variables most predictive of given health behaviors. There are five key concepts in the Health Promotion Model: person, environment, nursing, health, and illness. The person is a biophysical organism shaped by the environment, but also seeks to create an environment in which human potential can be fully expressed. Because of this, the relationship between person and environment is reciprocal. Individual characteristics and life experiences shape behaviors. The environment is described as the social, cultural, and physical context in which life unfolds. It can be manipulated by the individual to create a positive context of cues and facilitators for health-enhancing behaviors. The role of nursing is a collaboration among patients, families, and communities to create the best conditions for the expression of optimal health and high-level well-being. Health is defined as the actualization of human potential through goal-directed behavior, self-care, and relationships with others with necessary adjustments made to maintain relevant environments. Illnesses are discrete events in the life that can hinder or facilitate the patient's continuing quest for health. People try to create conditions of living through which they can express their unique human potential. People have the capacity for reflective self-awareness, including assessment of their own competencies. People value positive growth, and strive to find a balance between stability and change. People seek to actively regulate their own behavior. People interact with their environment, transforming it and themselves over time. Nurses and other health professionals make up a part of the interpersonal environment, which exerts influence on people throughout their lifespan. Self-initiated reconfiguration of the interactive patterns between people and their environments is necessary for a change in behavior. Behavior and characteristics influence beliefs, affect, and enactment of health-promoting behavior. People commit to engaging in behaviors from which they anticipate deriving personally valued benefits. Barriers can constrain commitment to action. Competence to execute a given behavior increases the likelihood of commitment to action and actual performance of the behavior. Greater perceived self-efficacy results in fewer barriers to a specific health behavior. Positive affect toward a behavior results in greater perceived self-efficacy. When positive emotions are associated with a behavior, the probability of commitment and action is increased. People are more likely to commit to health-promoting behaviors when others model the behavior, expect it to occur, and provide support to enable it. Families, peers, and health care providers are important sources of interpersonal influence that can increase or decrease commitment to health-promoting behavior. Situational influences in the external environment can increase or decrease commitment to or participation in health-promoting behavior. The greater the commitment to a specific plan of action, the more likely health-promoting behaviors are to be maintained over time. Commitment to a plan of action is less likely to result in the desired behavior when competing demands over which persons have little control require immediate attention. Commitment to a plan of action is less likely to result in the desired behavior when other actions are more attractive and thus preferred over the target behavior. People can modify cognitions, affect, interpersonal influences, and situational influences to create incentives for health-promoting behavior.